(Step 1) Draw 2 circles. (Step 2) Draw the upper and lower part of the eye’s skin folds. (Step 3) Draw a curved triangle like shape for the inner eye. (Step 4) Very lightly draw a rectangle-like shape for the highlight. Also carefully erase top and bottom of eye ball’s circle that is cut off by skin. (Step 5) Draw very light shadows above and below the eye, as I did. 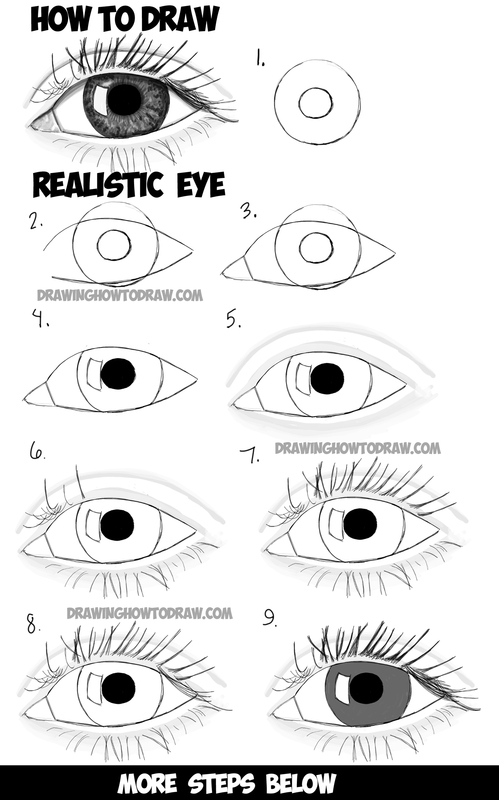 (Step 6) Start drawing eye lashes…they aren’t all going in perfect directions, they sometimes overlap and go in a direction that isn’t expected. (Step 7) Draw more lashes. (Step 8) Draw lashes on far right. (Step 9) Continue to draw lashes on fair right and then thicken up the lashes a bit on top row. Also lay down a tint of gray on the eye ball (if using pencil, use side of pencil to add tint of black). (Step 10) Draw some darker squiggles around the eye. (Step 11) Add some darker shadows on upper lid. Also add a very light tint of gray in the triangle-ish shape of inner eye. Add some shadow under top eye lid. (Step 12) Use your eraser to squiggle out some of the tine of the eye ball – in squiggles on outside and lines around the pupil. Also add some highlight to inner-triangle-ish shape. (Step 13) Add some darker lines around pupil too. (Step 14) Add some shadow slightly above lower eye lid and to the right of the triangle-ish inner eye. Also add a bit of darker area around pupil because it shouldn’t look as crisp. 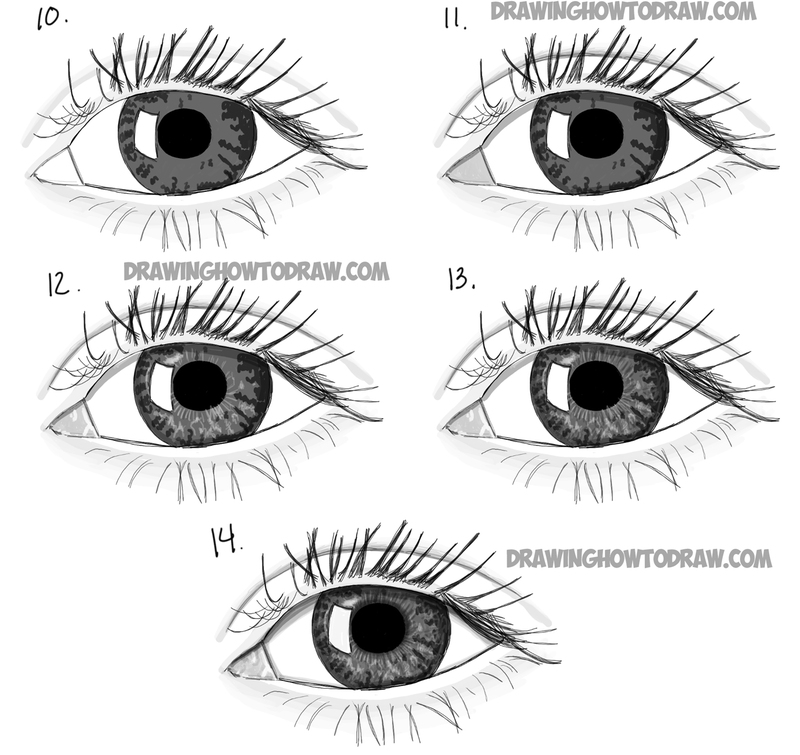 I hope this drawing lesson helped you…good luck drawing eyes! It’s really nice & attractive work..Many many thanks for your work & taking steps.you are really nice people. I can show you how to do it – but I don’t have time to draw a full list of words. You will have no problem once I show you how. In what way do you want them to be 3d – can you send me a link to a picture of 3d words that you like so I know what style you want?